January: MTP completes Pecos County, Smarty Jones State 32-1HA targeting the Upper Wolfcamp with a 15,360-ft MD horizontal. The well tested with a 24-hr test rate of 807 Bo/d and 0.8 MMcf/d (939 Boe/d, 86% oil). March: MTP drills Reeves County Man O’ War 5-8 4HA targeting the Upper Wolfcamp with a 20,250-ft MD horizontal. 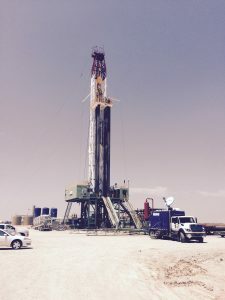 The well was drilled to 20,250-ft MD and had a 24-hr test rate of 1,735 Bo/d and 2.2 MMcf/d (2,108 Boe/d, 82% oil). April: MTP completes well in Ward County Whirlaway 99-1HA targeting the Upper Wolfcamp with a 16,500-ft MD horizontal. The well tested with a 24-hr test rate of 1,183 Bo/d and 1.2 MMcf/d (1,378 Boe/d, 86% oil). May: MTP drills Ward County Assault 126-1HA targeting the Upper Wolfcamp with a 16,910-ft MD horizontal. The well tested with a 30-day IP rate of 1,065 Boe/d (77% oil). July: MTP participates in drilling Reeves County Veto 130 1H targeting the Upper Wolfcamp with a 17,610-ft MD horizontal. October: MTP participates in drilling Reeves County Veto 130 1H targeting the Upper Wolfcamp with a 17,610-ft MD horizontal. The well tested an IP rate of 1,884 Boe/d (77% oil).